Shinsaibashi is a popular shopping district in Osaka which has a long history as a regional center of commerce. The entire area is named after the former Shinsaibashi Bridge which was first built by Shinsai Okada in 1622. This bridge crossed the Nagahorigawa canal and was a popular local landmark until 1964 when the canal was filled in and the bridge was removed. The name remains though and has become closely associated with high fashion retailers and chic brand goods. 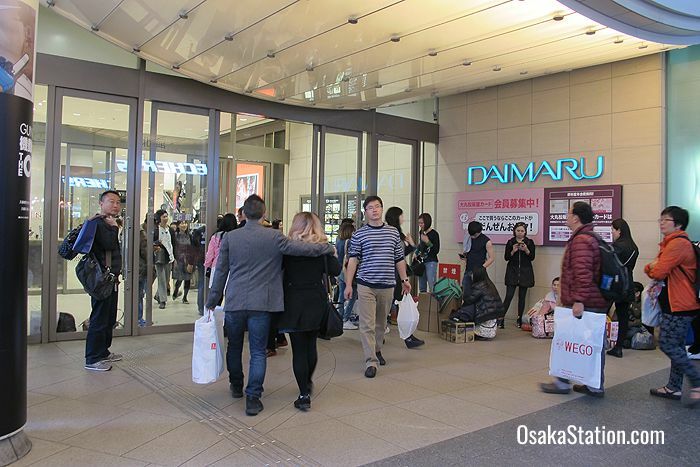 One of the big-name stores in Shinsaibashi now is the main branch of the Daimaru department store chain. This store’s history actually goes back to 1726 when it was first opened as a kimono and textiles store called Matsuya. 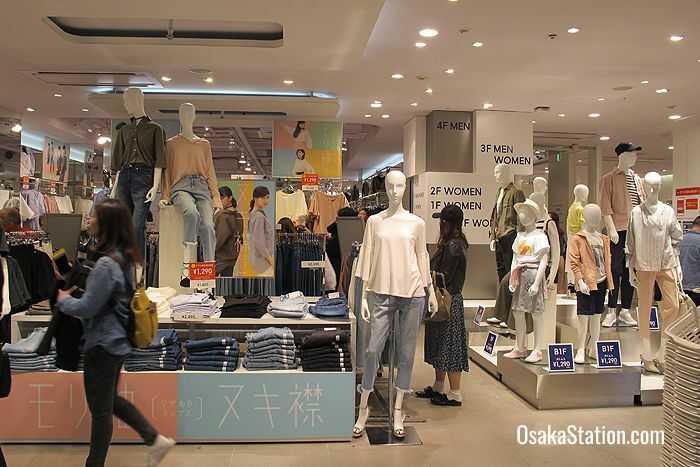 Already at that time there were many well-established small stores in the area, and Shinsaibashi grew to be Osaka’s major center of trade, with goods coming from all over Japan. 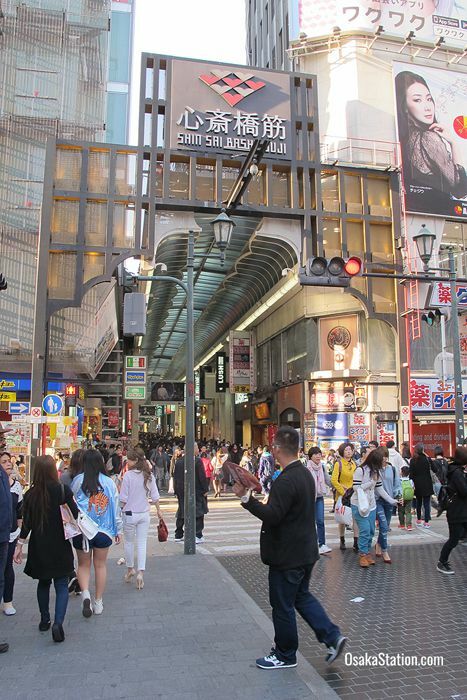 In the early 20th century stores here began to trade in goods from overseas, and Shinsaibashi grew to challenge Tokyo’s Ginza district as a leading commercial center for high class luxury products. There was even an expression: “Ginza in the east, Shinsaibashi in the west.” These days, Osaka can’t compete on quite the same level as the capital city, but Shinsaibashi is still fashion central for Osaka and for the major brands and retailers it is very important to be represented here. 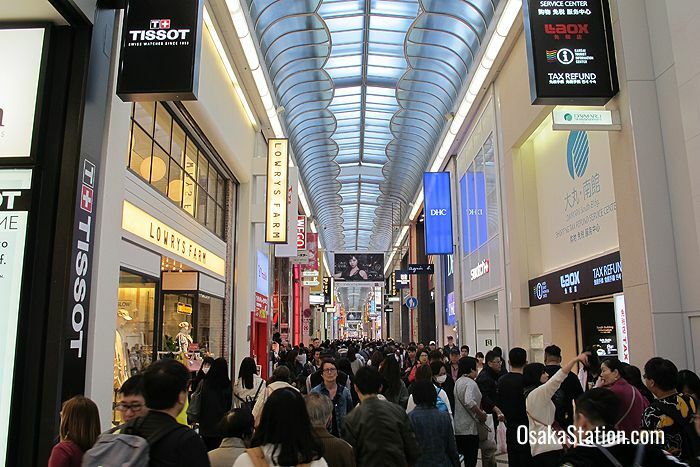 The backbone of Shinsaibashi is the Shinsaibashisuji shopping arcade that runs north from Dotonbori to Nagahori Dori Street and which parallels the Midosuji boulevard to the west. 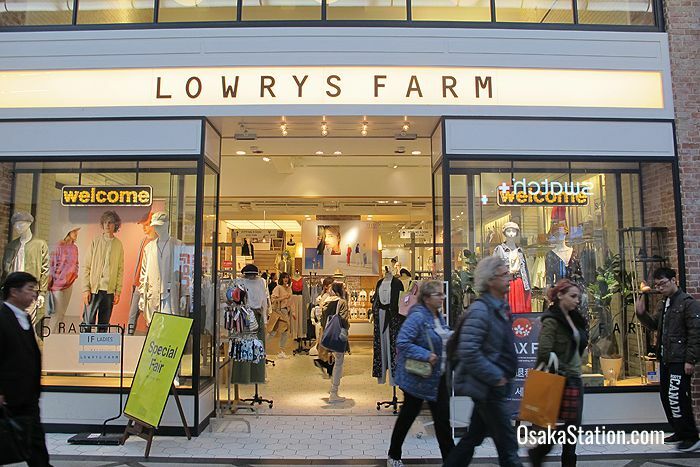 This roofed arcade runs for 580 meters and contains roughly 180 stores among which you can find major department stores, brand retailers, independent fashion boutiques, teashops, and cafes. Because of its roof, it is a great location for rainy day shopping. However, it does get crowded, with 60,000 people passing through it on an average weekday, and double that number on weekends. If you don’t mind the crowds, this is an excellent place for discovering the latest fashions in clothing, footwear, jewelry and accessories. 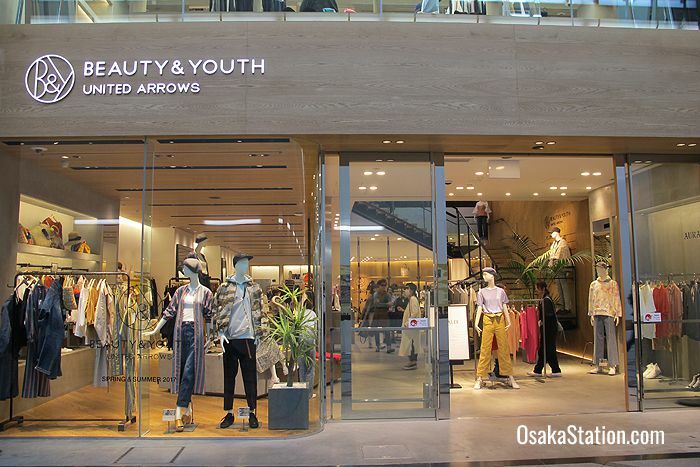 Some of the big names on this street are H&M, Uniqlo, Zara, United Arrows, Samantha Thavasa, Calzedonia, and Ralph Lauren. However, be sure to watch out for the side alleys that branch off from the arcade, as it is there you will find some of the older, more traditional stores selling traditional crafts, hanging scrolls, and kimonos. Here are some highlights. 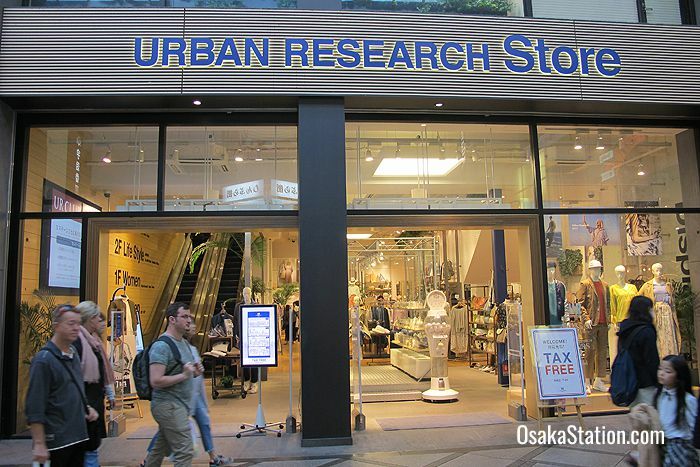 For a detailed map of Shinsaibashisuji and details of how to get tax refunds on your purchases, visit the official Shinsaibashi website. 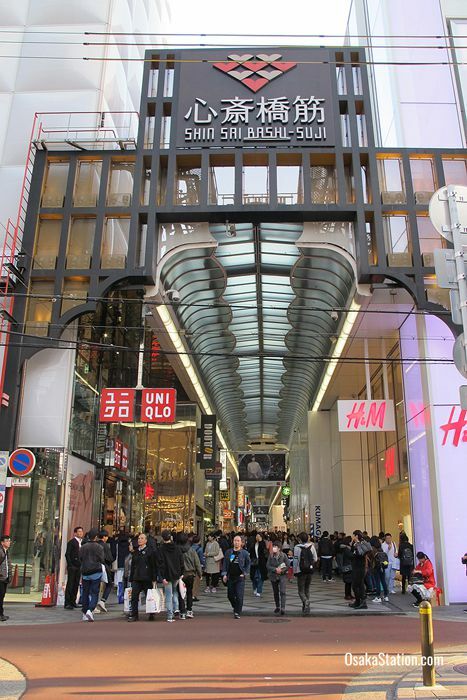 Shinsaibashisuji shopping arcade is convenient for the restaurants and bars of the Dotonbori entertainment district in the south, and for the youth fashion and clubbing district of Amemura in the west. The southern entrance to Shinsaibashisuji is just across the Ebisubashi Bridge opposite the famous Glico Man sign. From here Namba Subway Station is 5 minutes away. 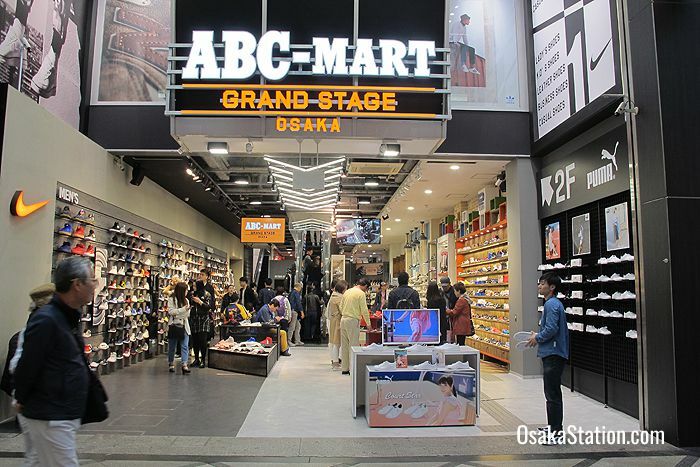 At the northern end of the shopping arcade you have direct access to Shinsaibashi Subway Station. Here is a map of the location.